The Gibson designers were presented with a challenge. They were asked to create a guitar strap that would provide the highest grade of quality, luxury, comfort and functionality. Thus came the creation of the Gibson The Austin Comfort guitar strap. Overall: Although this strap may seem a little "pricey", it is well worth the investment! 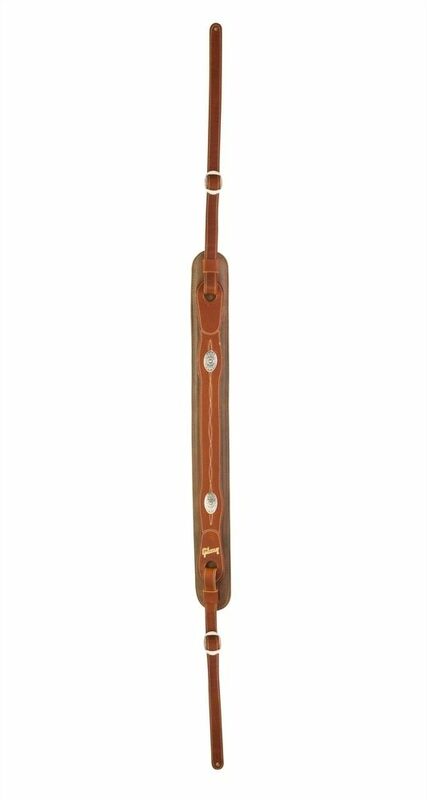 If you are on stage for 2 hours holding a 10# guitar, you'll appreciate the craftsmanship and comfort that the Gibson-Austin Comfort strap provides. It's very well padded and very well constructed - giving both comfort and durability. If you can afford to purchase a great Gibson guitar - then go the extra mile and purchase the comfort strap as well. It's a great investment that will last a lifetime. 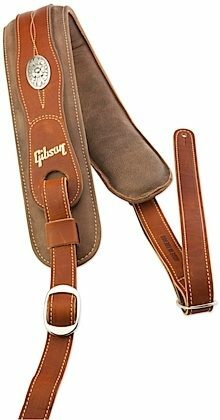 "Gibson The Austin Comfort Guitar Strap"